Ribbon for the Wounded. 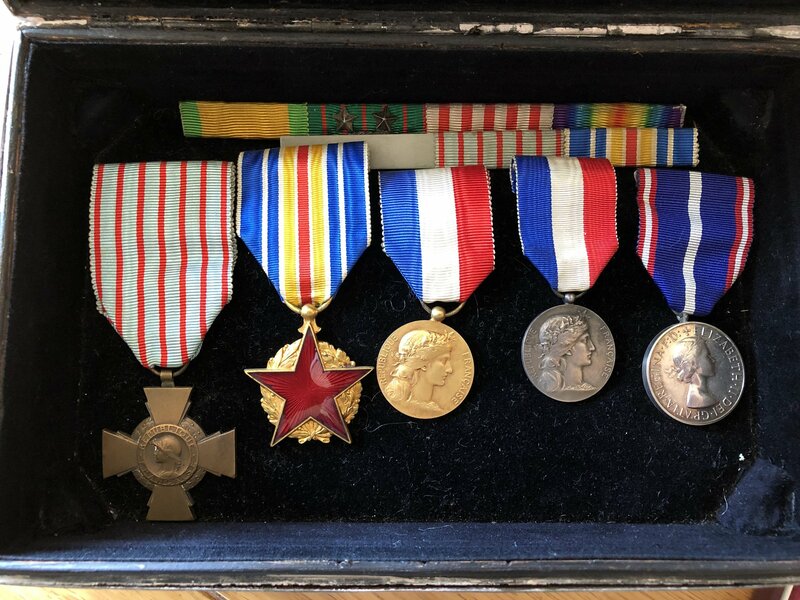 Adopted in 1916for those wounded in the Great War or invalided through wounds or illness in service.. A red enamelled five pointed star is worn in the centre of the ribbon.No medal was awarded but recipients could purchase an unofficial medal as per above with the same ribbon. Thank you. I’ve learned something new! Makes sense as I now understand the ribbon was also awarded to POWs. Have paperwork from German POW camp relating to recipient. What's the medal at the end? The one with the EIIR head?